The relaxation you can avail of in the back seat of a Dallas Corporate Limo is something everyone looks forward to. And, when you need a much deserved break from work, we are here to serve you. Dallas Corporate Transportation allows you a travel environment in which you can conduct your business operations while travelling comfortably at the same time. Yes, the Dallas Corporate Limousines we offer you are like your very own mini office and the most comfortable one too. You can relax if you wish to or you may hold business conversations over the telephone, video conferences on your laptop or discuss business with a prospective client or a colleague. 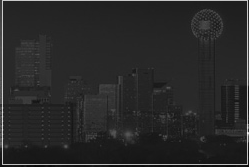 Make Dallas Executive Travel your official travel companion for all your business trips. The comfort we offer you is well deserved by you for all the hard work. It is easy to mix business with pleasure at Select DFW with Dallas Corporate Transportation. Yes, Dallas Corporate Transportation is all for mixing business with pleasure. We believe that when you are relaxed and well pleased, you will be able to successfully complete your business tasks. Additionally, our prices are reasonable because we do not want to become a financial hindrance to the growth of your corporation.